The term Derby is an Americanism given to the Bowler hat as worn by the Earl of Derby at the Derby horse races. The Hat Shaper Derby is a bit different that the Hat Shaper Bowler. It has a higher flatter crown than the Bowler. 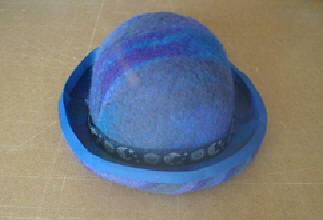 However, like the Bowler Hat Shaper, the Derby Hat Shaper also has an inverted brim. 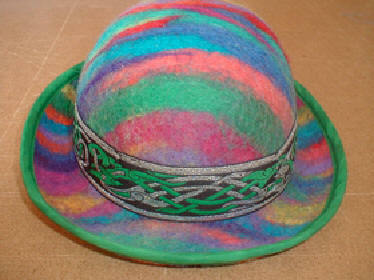 The brim is meant to be flipped-up in your finished hat. The pictures below show the brim in two different "flipped" positions.